> Keep your finger on the pulse of public trustee, deceased estates and mortgagee sales. These can turn up with the occasional gem. 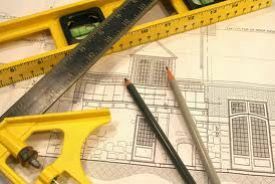 > Look for houses that suit your skill set in regards to renovation. > Research potential development opportunities, understand area demographics and growth predictions. > Have patience – Finding a bargain property can take time, you mustn’t become anxious and purchase on a whim. > Read widely – understand your target market, your target potential for renovation and your maximum bidding price. > Research the suburbs they are most likely to meet your standards but keep an open mind. > When negotiating, you must stay firm and push for what you require. Sometimes you may find a desperate seller after introducing a low ball offer and increase your profit margin even more. The above tips are great for starting your thought process. It is best to formally plan your property searching agenda in a useful document. Review the document regularly and have an idea of where you are heading and your objectives. This way you have a clear understanding of exactly the type of property you are after and you can focus all your resources and energy on setting up to move quickly on any potential sales and maximise the revenue upon purchase. If you require any property investment tips or assistance, contact Alert Property Group.